Real Stories! Amazing Adventures! : Recording Studio: The Next Level! I want to describe the latest additions & editions to my home studio, even though I have already shared these photos on my FB and G+ accounts. 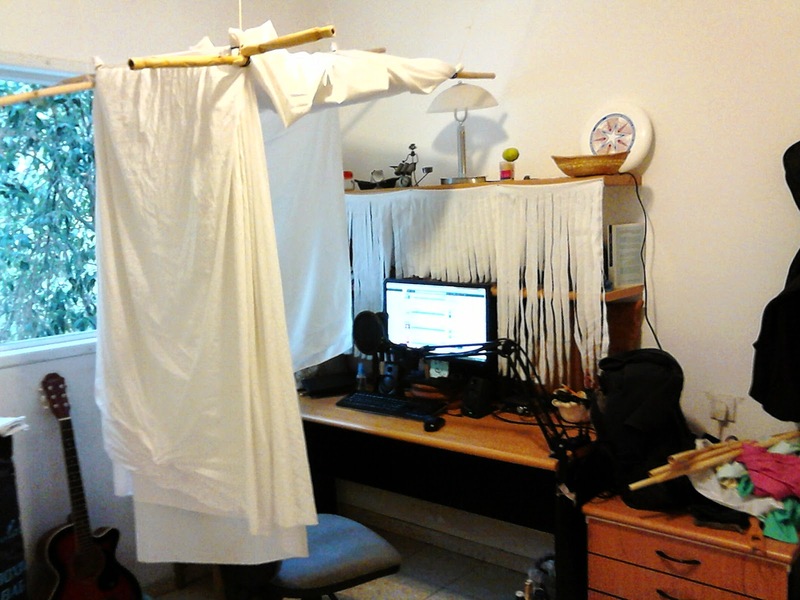 I have designed my reverb-cancelling booth, using strings and bamboo poles. 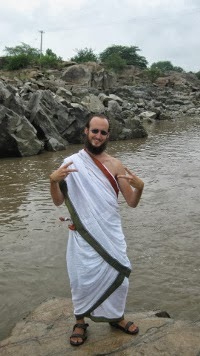 This gives it a comfortable shape, and lets me roll the cloth up quickly, when I am not recording. The reverb-cancellation itself is great! 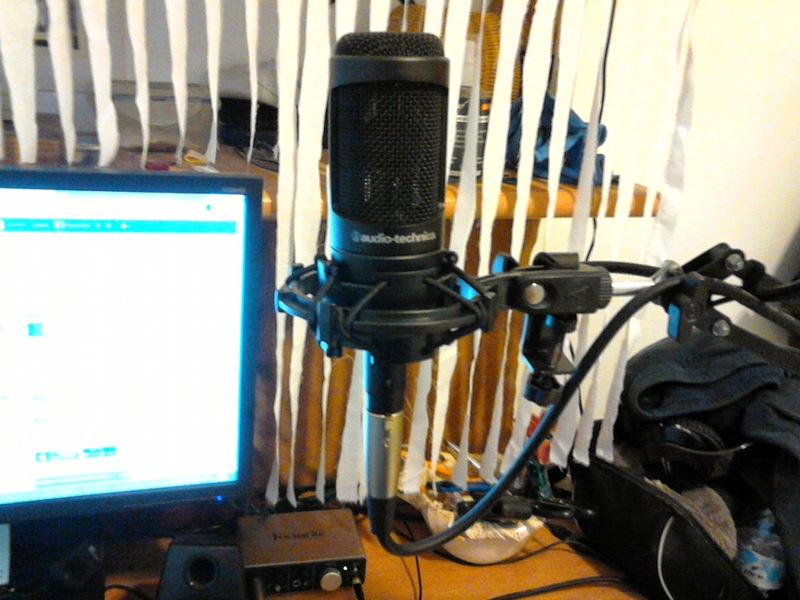 My new Audio Technica AT2035 large-diaphragm condenser microphone, as purchased from eBay. What a brilliant device! Sounds so good and lively, without any problems. 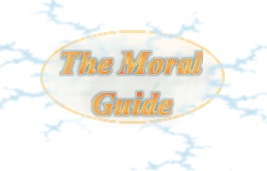 No sibilance. No noise. Just voice. 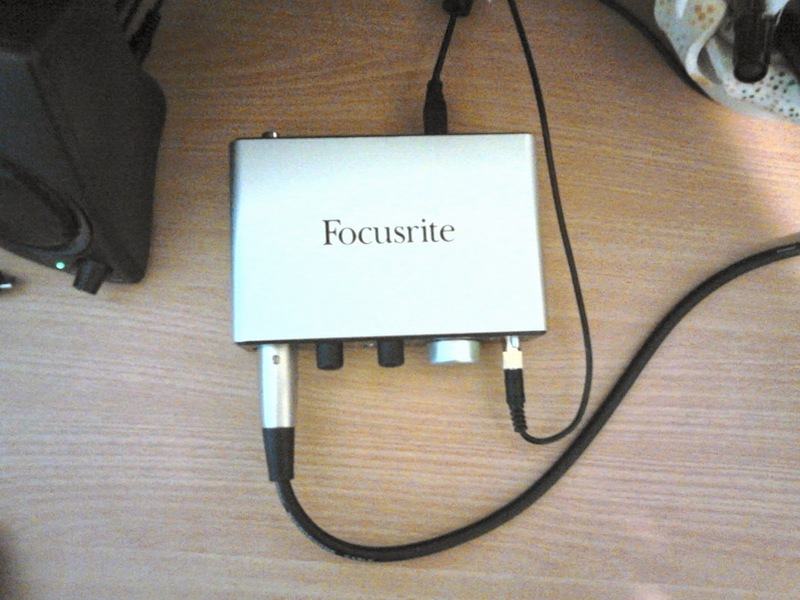 And my new Focusrite iTrack Solo usb audio interface, which brings the audio into my computer clearly and quickly, as purchased from Amazon. No lag. No noise. Very comfortable & hardy design. 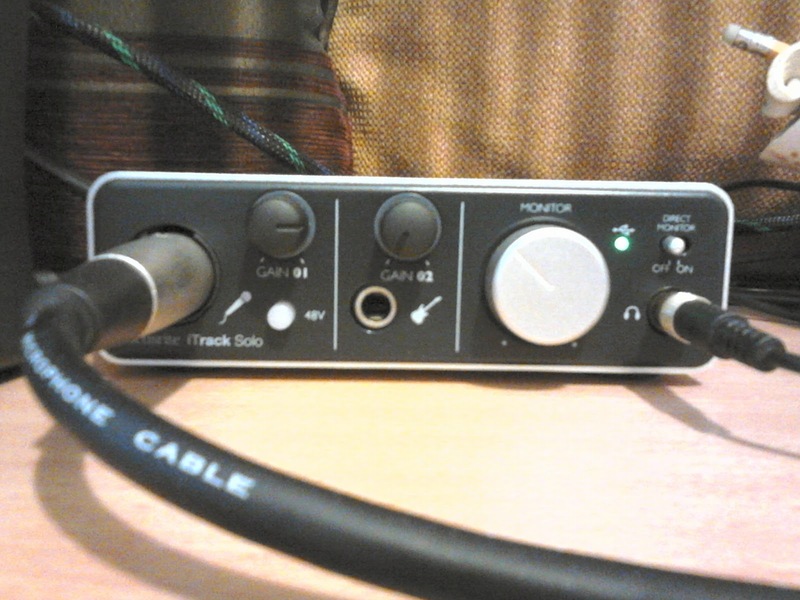 I also play everything through it, now, because it is a sound card, so my output audio is crisp clear, as well! Accessible and sturdy connections and controls.